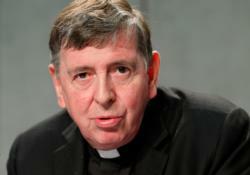 VATICAN CITY (CNS) — To be effective evangelizers, the Catholic Church and other Christian churches must constantly undergo their own conversion to a stronger commitment to Christian unity, said Cardinal Kurt Koch, the Vatican’s chief ecumenist. “So that the evangelizing task can be carried out in a credible way, the church itself continually needs a self-evangelization that includes conversion to the ecumenical search for Christian unity,” the Swiss cardinal wrote in the Vatican newspaper, L’Osservatore Romano. In preparation for the annual Week of Prayer for Christian Unity Jan. 18-25, Cardinal Koch’s article focused on the connection between mission and Christian unity, a connection that gave birth to the ecumenical movement among Protestants more than 100 years ago and one that the Catholic Church has acknowledged since the Second Vatican Council. “Witness to the love of God, which is an integral and fundamental part of Christian identity, must be given in an ecumenical communion,” said Cardinal Koch, president of the Pontifical Council for Promoting Christian Unity. God sent his son into the world to save human beings and gather them back into one family, he said. The church, as a sacrament of unity, is called to work to re-establish its own unity and to draw others into the one family.